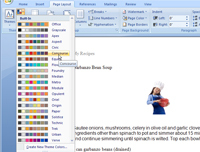 Although you can’t really create your own themes from scratch, Word 2007 offers many built-in themes that you can modify to suit your needs. A broad range of themes enables you to mix and match different fonts, colors, and formatting effects to create your own customization. 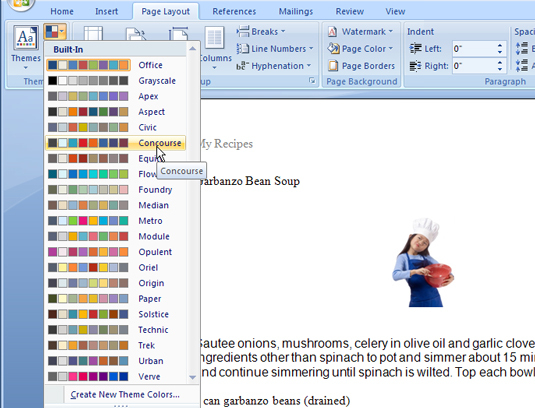 This is located in the Themes group of the Page Layout tab. 2Select a theme in the Themes menu. You may need to scroll through the menu to find what you want. 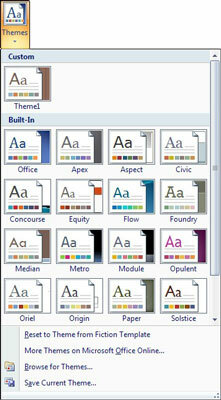 3Select the fonts, colors, or effects you want for your theme. Use the Theme Colors, Theme Fonts, and Theme Effects buttons in the Themes group to access the different galleries and make your changes. 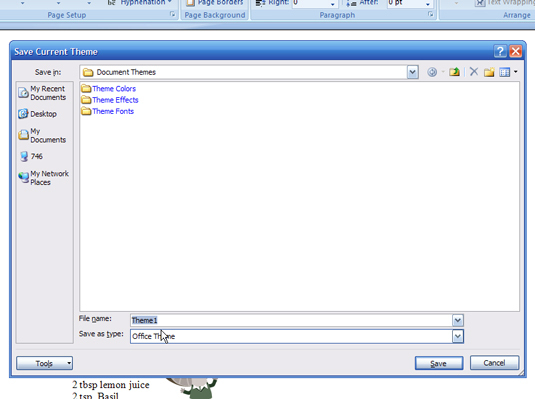 4Click the Themes button and choose the Save Current Theme command. The Save Current Theme dialog box appears. 5Give your theme a descriptive name. Type it in the File Name box. 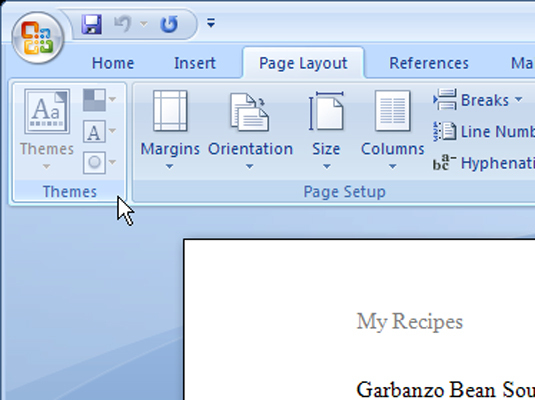 Word saves your custom theme, and it appears in the Custom area of the Themes menu.